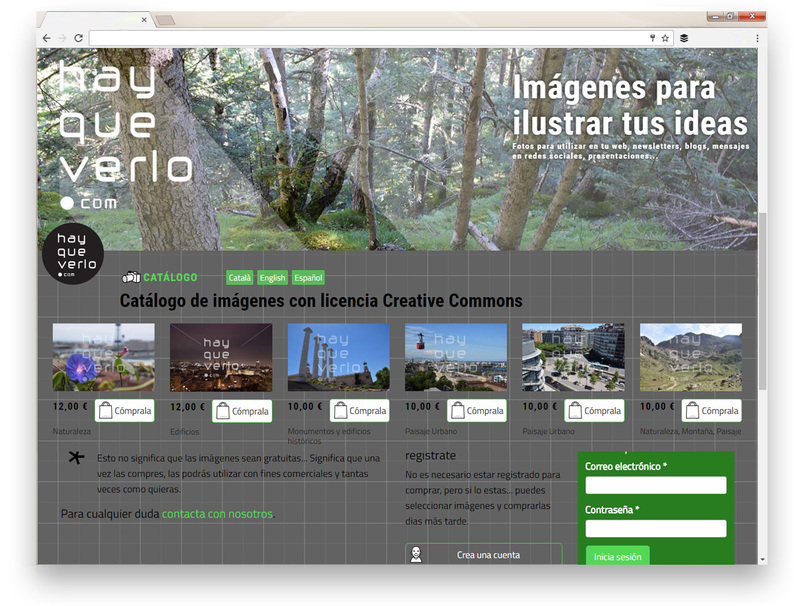 Web with system to sell photographs over the Internet. Customer management, orders and file downloads. Payment gateway integrated with PayPal. It can also be integrated with other payment services. 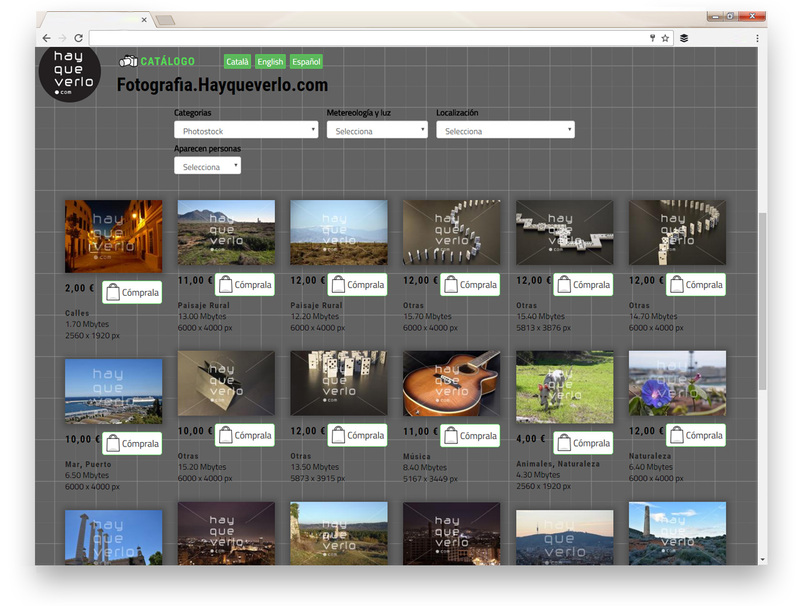 Photo catalog management tools with fully modifiable category system. Translation management system for all web texts in 3 languages. Possibility of extending it to more languages. Automation of tasks to improve the SEO of the page. 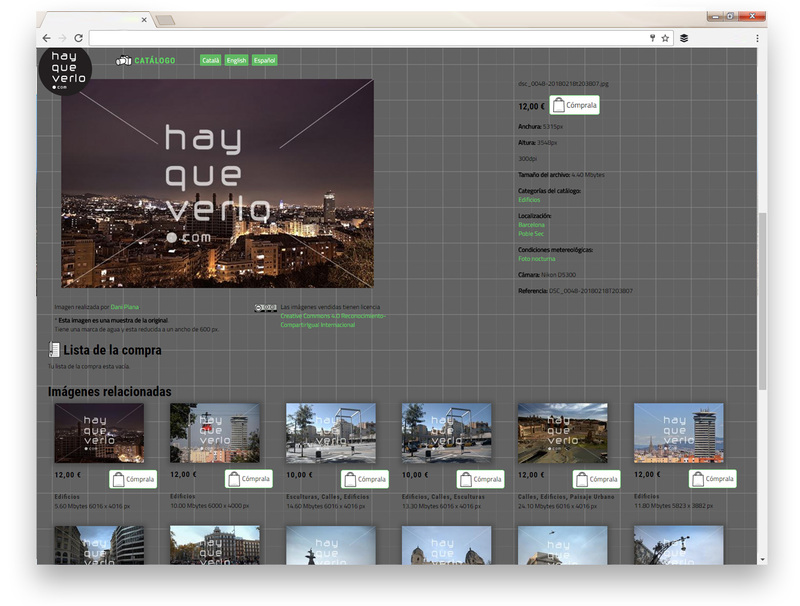 Web adapted to all types of devices with web browser (Responsive Design).